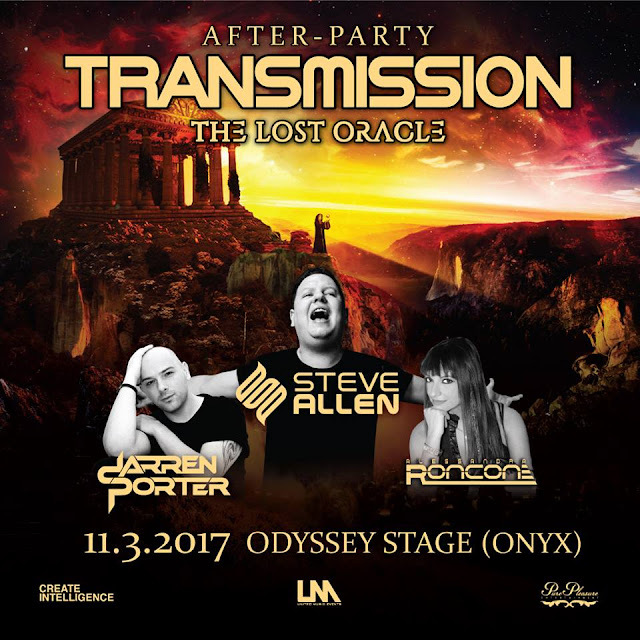 Transmission, a world-class Trance music festival originated in Prague, Czech Republic is ready for EDM (Electronic Dance Music) lovers in Asia. Transmission is praised as one of the world’s best indoor music festival by combining dance music, special effects, live actions, and world-class scenography to create new music experiences. With the exclusive theme “The Lost Oracle”, the concert is full with world-class production that will bring attendants to unexplainable experiences via storytelling using light, colors and lasers. There will be 18 laser generators which 10 of them will be 23w Full color lasers and 8 generators will be 8w Green lasers. The perfect sound system Funktion One from England will create unforgettable experiences. 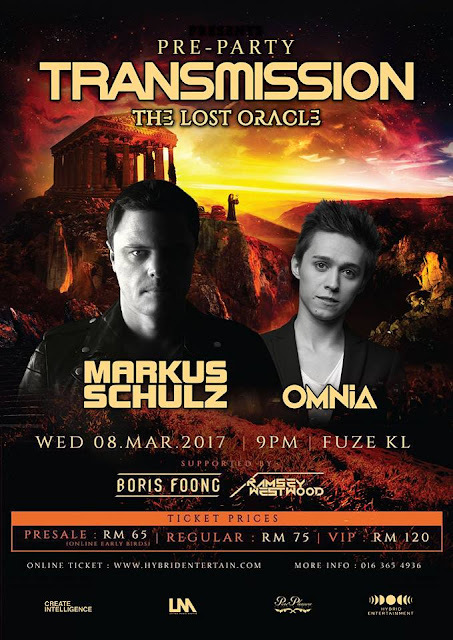 World-class headliner such as Markus Schulz; the composer for The Lost Oracle, Ferry Corsten, Aly & Fila, John O’Callaghan, Bryan Kearney, Driftmoon, Omnia and Vision Impossible (Transmix) will give unlimited music experiences to fulfill all senses. 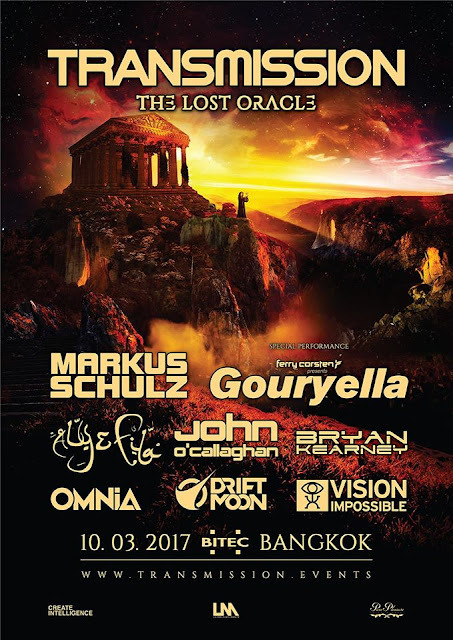 Create Intelligence Co. Ltd. together with Transmission will host this festival in Bangkok at the brand-new hall of 25-meter height of Bitec Bangna. This is the first time in Asia and Thailand for people to experience the extravagance of the giant stage with 23 meters high to accommodate special audio-visual techniques, laser shows, and LED screens with a total area of 300 square meters. Be inspired on 10 March 2017 at Hall 100, Bitec Bangna. Get ready for a day full of music, monster lasers, mammoth lights and colossal smoke displays and epicness sound system !